Teaser Tuesdays is a weekly bookish meme, hosted by MizB of Should Be Reading. Here are the rules for participating in this meme..Grab your current read. Background - Kat and her friend Dancing Queen are at the airport to pick up Jeni. I sighed and said, "What happened?" "In a nutshell, you said you wanted to drink some Irish Car Bombs, which led an overenthusiastic and inexperienced security guard to think you were a terrorist. " 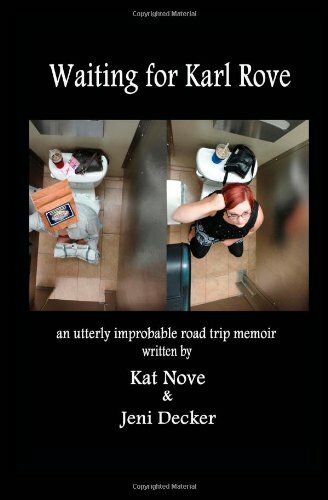 I will be interviewing the authors and reviewing Waiting for Karl Rove by Kat Nove & Jeni Decker later this week. You don't want to miss what these very funny ladies have to say! Paperback book available at Amazon and Barnes&Noble. Kindle version available at Amazon. I first became aware of Mr Kittrell when I came across the book The Dying Times. It is a YA zombie book. I love zombie books. This one I found to be different because it is the story of Nadene, a 13 year old, told from her perspective. Her parents are divorced and she is living with her mother. Nadene gets warnings in the form of a feeling of dread in her stomach accompanied by pains. At school during a fire drill she gets the warning and tells her friend Sally. And so begins The Dying Times. Mr Kittrell did well with introducing us to his characters and with their development. It is fast paced and action packed. It had me on the edge several times while reading it. 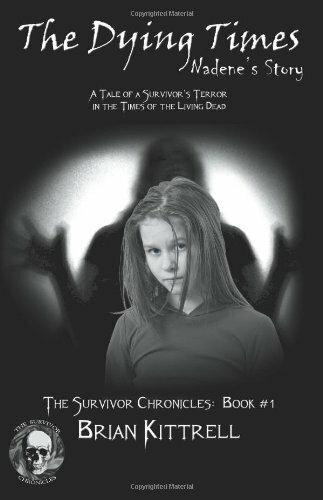 This is the first book in The Survival Chronicles. I enjoyed it so much when I was finished I went back to look for book two. I gave The Dying Times 4 stars. Book two is The War of the Dead, which presents of with the military view. We read the story from the point of Captain Andrew McKenzie at Fort Hood, Texas and from the Special Forces team in Zaire. The team discovered a secret lab in the jungle of Zaire and learned the rebel forces have missiles loaded with a virus and set to launch at the United States and its allies. Meanwhile at Fort Hood's North Star facility, Andy is to oversee research and keep Washington informed of things. As things progress supplies run low and more of the men and women at the base are disappearing. Those who remain have heard the living dead are coming closer. I thought Mr Kittrell did an excellent job portraying the military. Once again his characters were well developed. And the story continues to be fast paced, action packed, keeping you on the edge. In this age of terrorism there is enough truth here to keep you thinking what if this happens and the icy cold fingers of fear grip you. I gave it 4 stars. Book three is Prisoner and Survivor. This book is the story of William and Edgar, two very different survivors who meet up In Pennsylvania. William was in prison for the murder of his wife and her lover. He escapes from prison when the apocalypse is beginning. He hears a voice telling him to go west. Along the way he meets a few other interesting survivors. One of whom is Edgar has terminal cancer and survived. It is thought that something in Edgar’s blood may be the answer to the living dead nightmare. This book was in my opinion not as good as the first two. This however could be just because I am dying to know the conclusion. I still found it a fast paced, action packed, edge of the seat read, just had some loose ends and the longing to know the conclusion. I thought the author did a good job though in keeping the three books connected. I give it 3 and a half stars. There is a supplement short story Harvey's Diner. It is an extension of book 1 - The Dying Times. As it is only 6 pages long I am not going to say much about it. Harvey's diner is the place where Nadene's mother works. This is the story of her boss. 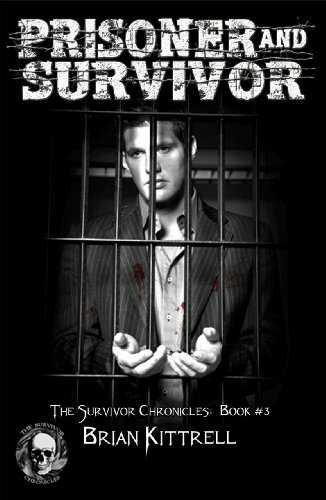 The Survivor Chronicles are available on Amazon in both paperback and Kindle format. All 3 books are available in one package for the Kindle. Harvey's Diner is offered free. 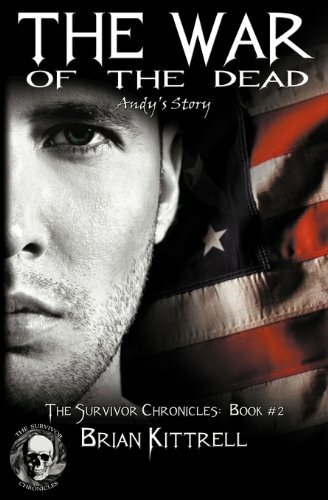 The 3 books of the Survival Chronicles, including the 3in 1, are also available for the Nook at Barnes & Noble. Brian Kittrell can be found on Facebook. Great Teaser, I'm going to try and remember to come back this week to read the interview. Thank you for stopping by my blog. Awesome teaser...thanks for visiting my blog. LOL - any talk of bombs does tend to upset security people. I wonder how long it took them to explain. Thanks for stopping by my blog. I hope you enjoy Candis Terry's book. Thank you for the comments. I appreciate you taking the time to leave them. That is too funny Cristina! Yeah, don't think you want to make that kind of statement. Too funny! 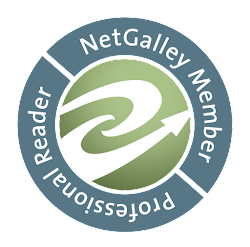 Would love to read your review on this one. Thank you all for stopping and commenting. I am hoping to have the review up on Thursday, Friday at latest.